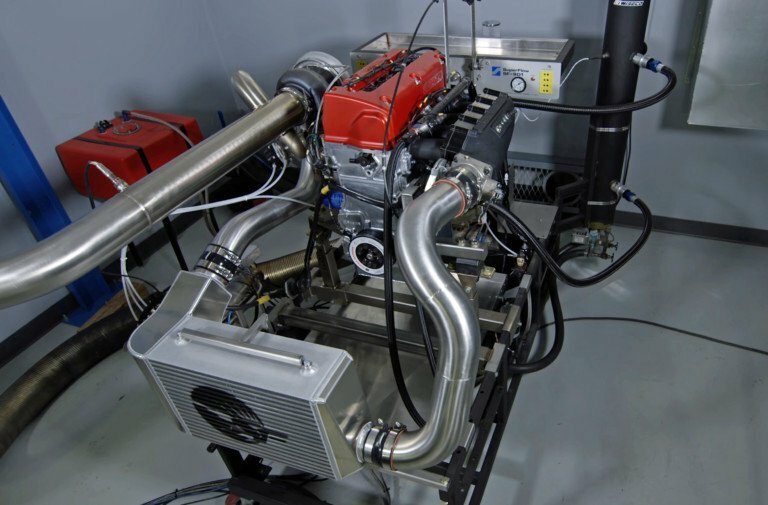 The guys over at Borowski Race Engines have pushed themselves to the forefront of development with Dart‘s LS Next engine platform; EngineLabs has covered their builds previously as they have shown great success with the design, both naturally-aspirated and with Whipple twin-screw superchargers. They’re back with yet another LS Next build, this time for customer Rich Jovanovich. Unlike the prior builds covered here, this time around the LS Next platform is topped off with a set of cathedral-port LS1-style cylinder heads, and Vortech Superchargers got the call to provide one of their billet-wheel YSi superchargers. The assembly was designed to work on E85 fuel. Rich Jovanovich’s LS Next build was a departure from some of Borowski’s past builds and will feature a Vortech YSi supercharger. “We just ran this engine on the dyno last week, and at 388 cubic inches it made real good power on the dyno – 1,140 horsepower and 905 lb-ft of torque. The customer was heavily involved in the build; he came to us as a reference through another one of our customers. We can’t take any credit for the design on this build. He did his own research on the block, and came and talked to us about the build,” says Borowski’s Dave Livesey. 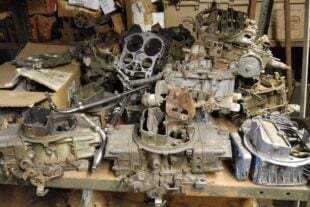 “I’m trying to prove a couple points – that this style cylinder head still works well, see how far I can push a four-bolt head, and still keep a mild-mannered street engine until the right pedal finds the floorboard. I realize that they put rectangular-port heads on street engines and they are ‘supposed’ to be superior, but I also realize that a well set-up cathedral-port combination does work,” chipped in Jovanovich. Think the original LS1-style cathedral-port cylinder head design doesn’t perform? Think again – Rich Jovanovich’s Dart LS Next-based piece cranked out killer numbers on the dyno. 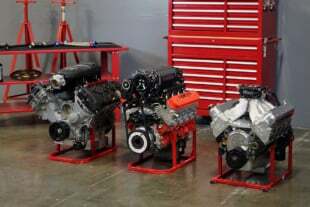 The build has taken Jovanovich the better part of the last two years, and will be installed into his 2006 two-wheel-drive Trailblazer SS, which has run a best quarter-mile time in the 10.60s – and is headed deep into the 9s with this engine between the framerails. Race weight with Jovanovich behind the wheel is a whopping 4,670 pounds, with all factory options including air conditioning, owing to the truck’s heritage as a street cruiser. “At one point this was scheduled to be a 427 cubic inch build, but after thinking about it, I decided to bring it down in cubic inches and let the engine consume a lot of air on the short stroke and let the blower do the work. You just need to put the right size blower or turbo on the front of it, and you can just let the power-adder do the work,” says Jovanovich, who has put his engineering background to work during the research process of this engine build. Jovanovich’s Trailblazer SS has no idea what’s coming. 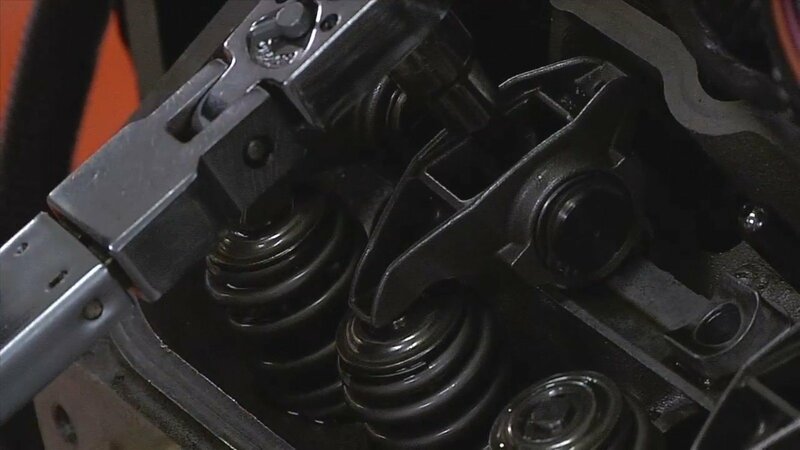 The standard 4.125-inch bore iron LS Next block is stuffed with a 3.622-inch stock-stroke Callies Magnum forged crankshaft, Callies 6.125 Ultra forged connecting rods, and Wiseco pistons that set the compression ratio at 10.0:1. The camshaft is from the guys at East Coast Supercharging – it’s one of their ‘Big Blower’ cams ground by COMP Cams inside. ECS also set Jovanovich up with the supercharger bracket setup, which is actually designed for a Camaro but works in this application. Jovanovich tells us it’s given great belt wrap with zero slip during the dyno testing. 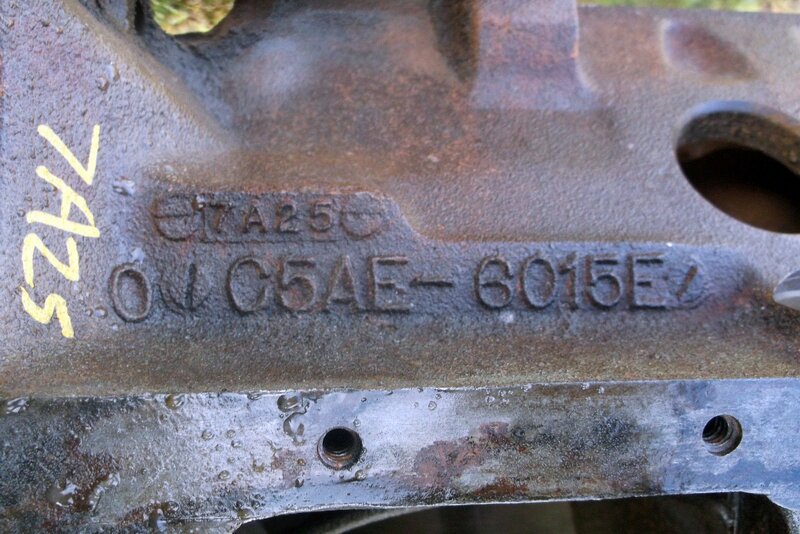 The Dart LS Next engine block was selected for its superior oil control over traditional LS blocks. Internal parts have been chosen to provide enough strength to hold up to the 20-plus pounds of boost Jovanovich will tune into the final product. “The engine has a set of old-school Airflow Research 230cc cylinder heads on it. We went through the heads and did our CNC valve job on them and put a set of PAC springs on top. It also has a Holley Hi-Ram intake on top – it’s a different engine for us in that usually when we do our LS Next builds we’re using LS3 or LS7 ports and a larger-than-stock stroke,” explains Livesey. 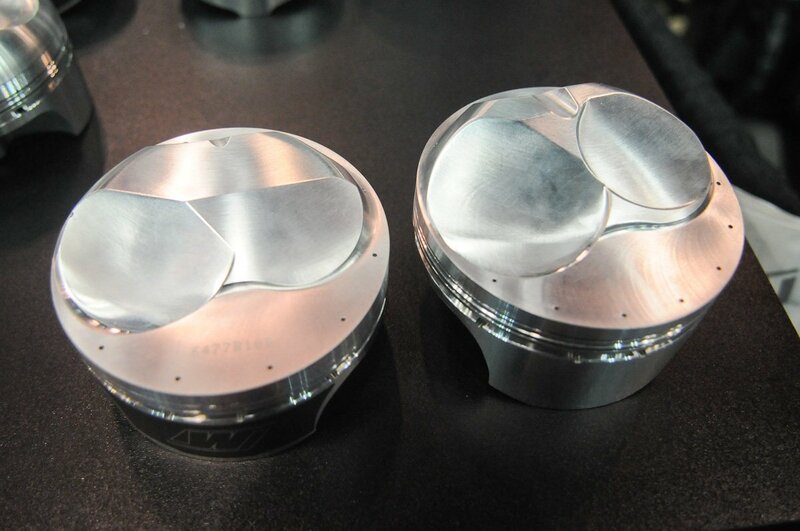 The AFR 230cc cylinder heads were put on Borowski's Newen CNC machine to have one of the company's custom valve jobs performed. Rich Jovanovich with his creation. He brought the blueprint after much research, and Borowski executed his plan to perfection. The team at Borowski was impressed with the engine’s capabilities on the dyno. In the interest of breaking the engine in successfully for the customer, Livesey used one of Borowski’s own Holley HP ECUs and repinned the harness to work on the dyno with the 24-tooth reluctor wheel and 2X cam sync that’s used in the vehicle. Once Jovanovich installs the engine, it will be final-tuned using a setup from HPTuners. He hasn’t selected a calibrator at this time but is looking into a few different options. “We’re going to use the factory ECM in the truck – everything plugs right into it, and we feel like we’ll be able to control it just fine with good drivability,” says Jovanovich. The engine was initially run on gasoline with no supercharger installed, where it made in the neighborhood of 550 horsepower naturally-aspirated with zero tuning; these were dyno pulls to help seat the rings. Subsequently, they switched up the fuel to the E85 that will be in the vehicle, and picked up 13 horsepower, again with no tuning involved. Once the rings were seated, the YSi made its way to the front of the engine. “We started with Injector Dynamics 1300 E85-specific injectors, and as we were sneaking up on the boost we were at 98% duty cycle with only 16 pounds of boost at 6,000 rpm – it blew us away with how much fuel the thing was using. At 21 psi it made 1,140 horsepower and it was still climbing. With the E85, and the fact that the dyno fuel system was on the edge at that point, it exceeded our expectations, so we called it a day at that point,” says Livesey. The Vortech YSi is equipped with a billet compressor wheel, and is the star of the show in this application. The Borowski team is very familiar with the Holley HP ECU, thus the use of it on the dyno – it permits them to log all of the parameters, use a knock sensors and track the engine’s performance. Inlet temperatures through the air-to-air intercooler setup were in the 118-degree range, and they never even got after the timing curve enough to trip either of the knock sensors. “On the dyno we couldn’t get the voltage to the fuel pump like we needed to. With no alternator on the engine on the dyno, with the MagnaFuel 4303 pump it just wasn’t happy at 12 volts at all. The end result will most likely be an upgraded alternator from DC Power that should keep the voltage up over 14 volts in the vehicle. 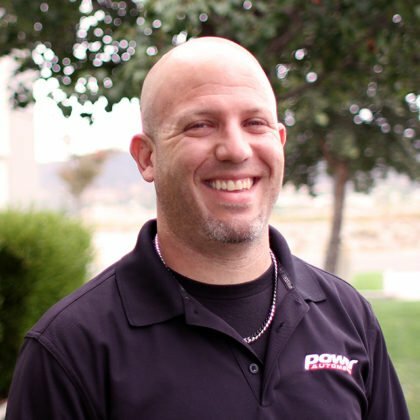 I have a lot of electrical items in the truck that draw a lot of current, and I feel like with the better alternator we’ll cover all the bases and not shortchange myself,” says Jovanovich. Incredible horsepower from a very basic combination – check out the sights and sounds in the video! More angles of the engine - click each photo to enlarge for a better look!